The patent protected and exhaust pipe independent gas extraction system type – SLS Car is the future oriented solution for the source extraction of exhaust emissions. 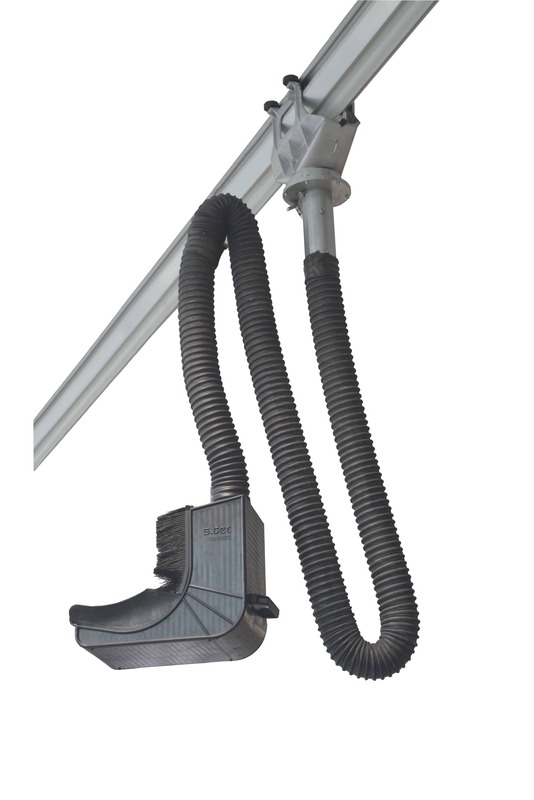 It replaces all existing exhaust funnels and simplifies the operation for the staff member substantially. Thereby it does not matter whether the outlet ends show lateral themselves or are even integrated into the lower back panel under the vehicle ground how this is the case with the new vehicle generations.